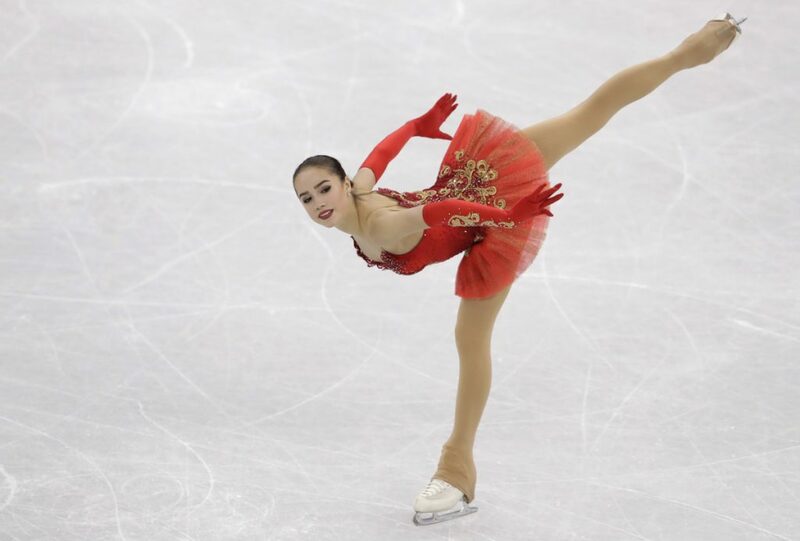 GANGNEUNG, South Korea — A few years back, Alina Zagitova nearly was sent home from training for not working hard enough. A grateful nation — upset that their flag, anthem and dozens of athletes were banned from the games because of a doping scandal — can thank the 15-year-old who beat the 18-year-old who had inspired her to become a figure skater, Evgenia Medvedeva. And thank their coach, Eteri Tutberidze, who gave the less-than-diligent Zagitova one more chance to prove herself when she wanted to quit. Zagitova’s victory in one of the games’ spotlight events ended the gold drought for the Russians and added another chapter to her battle with her friend and training partner. It could become a skating rivalry for the ages. “I’ve got a big life in sports ahead of me and I want to keep going for many years,” Medvedeva said. Other than Mirai Nagasu’s triple axel, it was not a memorable Olympics for the American women. They finished ninth, 10th and 11th, their weakest showing since World War II. Sixth place had been the low point. Nagasu, fourth at the Vancouver Games in 2010, became the first American woman to land that 3 1/2-revolution jump in an Olympics, helping the United States take the team bronze. From there, it was downhill. She never got elevation for the triple axel Friday and ended up 10th. She was one spot in front of Karen Chen, the 2017 U.S. champion. Bradie Tennell, this year’s winner at nationals, was ninth. Both Chen and Tennell are expected to keep skating and will need vast improvement to catch up to the Russians, Japanese and Canadians who have come to dominate the women’s event. Italy’s Carolina Kostner, the 2014 bronze medalist, was fifth, one spot in front of Japan’s Kaori Sakamoto.